Father God reminded us that the Brexit negotiations are in a very crucial stage and we need to uphold all those involved. As we stand against the enemy, We are clothed in Your full armour covered with the blood of our Redeemer in whom resides all power and authority. We thank You, Father, that You defeated Satan and all the powers of darkness when Jesus died for us on the cross of Calvary. We are seated in Him at Your right hand, and we command all powers of darkness to retreat in the authority of the name of Jesus Christ and by the power of the Holy Spirit within us. We plead Your promises and character over the two teams negotiating. We acknowledge that Your Word never comes back void, and we stand on the following Scriptures and promises to which Your Spirit has led us. Ps. 22:4 Our fathers’ faith was in you— through the generations they trusted and believed in You and You came through. Ps. 22:5 Every time they cried out to you in their despair, you were faithful to deliver them; you didn’t disappoint them. Ps. 22:9 Lord, you delivered us safely from our mother’s womb. You are the one who cared for us ever since we were babies. Ps. 22:10 Since the day we were born, we’ve been placed in Your custody. You’ve cradled us throughout our days. We’ve trusted in You and You’ve always been our God. Ps. 22:21 Save us from all the power of the enemy, from this roaring lion raging against us and the power of his dark horde. Ps. 22:27 From the four corners of the earth, the peoples of the world will remember and return to the Lord. Every nation will come and worship Him. Ps. 22:28 For the Lord is King of all, who takes charge of all the nations. Ps. 22:30 His spiritual seed shall serve Him. Future generations will hear from us about the wonders of the Sovereign Lord. We offer up to You our sacrifice of praise and acknowledge by faith that You have already won the victory. We choose to rest in You whatever the outcome, however You choose to answer. Thank You that You never change and that Your goodness and mercy are everlasting. 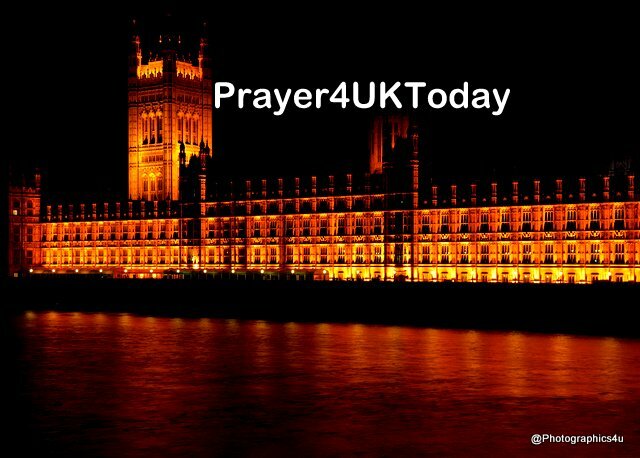 We ask You in faith to do Your will, to reveal Yourself, to turn hearts and put a godly fear in all concerned about Brexit and to bring Your Word to bear on all involved.